The name “Housing Benefit Hill” is a reference to a line in Just Like Tom Thumb’s Blues by Bob Dylan from the Highway 61 Revisited album. “Up on Housing Project Hill it’s either fortune or fame.” It’s one of my favourite songs. 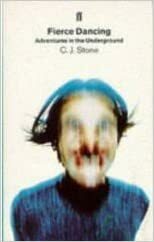 Culled from his regular columns in the London Guardian and Britain’s homeless paper, The Big Issue, Stone passionately documents life as experienced “in every run-down council estate in the land, peopled by the forgotten generation of post-Thatcherite Britain: the poor, the ejected, the rejected, the lost.” Not since Orwell has someone written with such vigor, passion, and anger, about the other half. Unlike Orwell, C.J. isn’t just paying a visit, that’s where he’s always lived. “The last time I spoke to C.J. was a year or two back; he’d given up writing and become a car park attendant. ‘But why?’ I asked him. 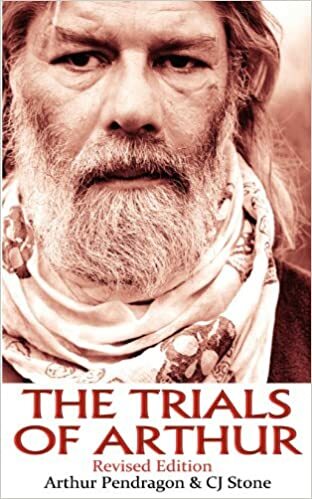 ‘Because for the time being I’ve had enough of going nowhere he replied.’ Now isn’t that just it?” —Penny Rimbaud, from the preface. IT’S BEEN a long time since I last saw Housing Benefit Hill. More than two years, in fact. Even then it had changed. There were new gardens in the front of the ground floor maisonettes where there used to be a walkway, and security doors on the entrances to the upstairs. New wood panelling, glossy white, on the top storeys, which gave the buildings something of the air of town houses. Also there was a new close behind, with 55 tightly packed houses owned by a Housing Association. Same old air of desperation and poverty, however. Same kids playing in the street. Same piles of rubbish near the crossing to the little stream under the stunted thorns trees. Same beat-up old cars with flat tyres and smashed windscreens, with broken glass like crystals scattered across the torn seats. Well not quite the same. The kids I knew had grown up a little. They were no longer the ones on the street. And it was probably last year’s rubbish under the trees, and last year’s broken down cars lined up by the new fence. And the old garages had gone. Most of them had been smashed up in any case. Not many of them were used for keeping cars in. Mostly they’d become dens for the teenagers: the urban equivalent of a lover’s bower, lined with mattresses and old cider bottles. I still remember the long drag up the slope through the rest of the estate, the cars parked by the verges, the privet hedges, the occasional trees. The place I called Housing Benefit Hill was, in fact, a cul-de-sac off a road that looped up and around a larger estate. Housing Benefit Hill was my name for it. Round about it was known as Corn Beef Island. And on the estate itself it was called Colditz. Why? Because you could never escape. I first started writing the stories in the early months of 1993. I was unemployed, a single parent with a 13 year old son. I’d come through the break-up of a long-term relationship and was looking for something new. I was attending Job Club at the time. I guess I had always wanted to be a writer. I am one of those people with Incessant Jotting Disorder, a pathological inability to leave well alone. I have never been able to truly feel without having first written it down. It’s as if in writing it I make it real. Otherwise life tends to go by in a blur, making no sense at all. THE NAME “Housing Benefit Hill” is a reference to a line in Just Like Tom Thumb’s Blues by Bob Dylan from the Highway 61 Revisited album. “Up on Housing Project Hill it’s either fortune or fame.” It’s one of my favourite songs. You hear the words, “Housing Project Hill” and you immediately visualise a place. You can see the buildings, and you imagine the people living there. You feel their lives passing by. Sometimes, maybe, you wonder what they are doing now. I knew that I could have the same effect. I could invent a name to give just such an impression. The name would be like a seed implanted in people’s imagination. They would visualise a backdrop to the events, drawing on all the resonances that the words conjured up. I came up with Housing Benefit Hill, and the whole tone of the stories was fixed. 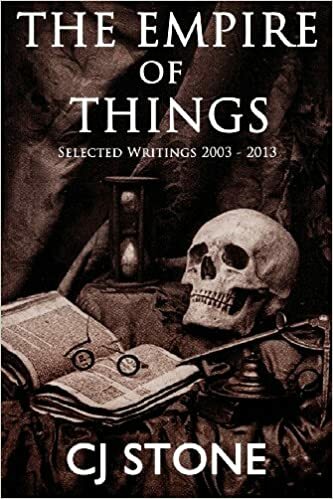 The first story I wrote was Witch Way Out Of Here, followed by Still Life Behind Drawn Curtains later in the year, though they didn’t appear in that order. Still Life Behind Drawn Curtains was chosen as the opening story by the editors at the Guardian Weekend where I‘d sent it, just on the off chance. Even as I was writing it I knew that it was something special, that something special was going to happen. I knew that people would like it. As I was writing, one night in the late summer of that year, I was rocking back and forth thinking, “I’m doing it for you, I’m doing it for you.“ Meaning I was writing it for the people of Housing Benefit Hill. I still wonder why the Weekend accepted it. It wasn’t as if I was well known. I have to thank Deborah Orr, the Guardian columnist, for that. She was the editor at the time. I think she knew what I was writing about, understood it, and had sympathy. I will always owe her a debt of gratitude. People used to imagine Housing Benefit Hill as in their own town. Very few people knew where it really was. Some thought Leeds, others London. It didn’t matter. Housing Benefit Hill was everywhere. 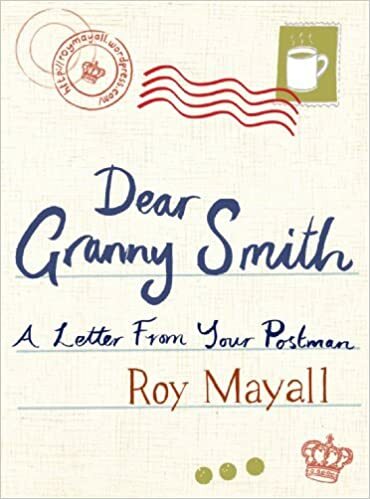 It was every run-down council estate in the land, peopled by the forgotten generation of post-Thatcherite Britain: the poor, the ejected, the rejected, the lost. MANY of the stories you will find in these pages were never published at all. Some of them appeared either in the pages of Mixmag, or in the Big Issue. Three of them appeared in the New Statesman. There’s a slight shift of emphasis, depending on the magazine. The New Statesman pieces are more polemical. The Mixmag pieces more dance orientated. Some of the Big Issue pieces were originally intended for the Guardian, but had to be moved, for practical and judicious reasons. In one case I was threatened with being beaten up if I published. Others were stories I prepared towards the end of my tenure at the Guardian, and which I never got round to sending. One of them is an extract from a much longer piece which I’ve cut down especially for this book. 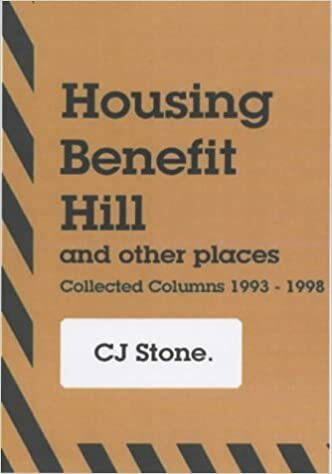 In any case, if you remember Housing Benefit Hill (and I find that a lot of people still do) then you’ll find there’s plenty of new material here for you to enjoy. The collected front-line reports from C.J. Stone’s popular Guardian and Big Issue Columns. These bulletins are not cosy or comfortable reading, but they are also not without hope, warmth and solidarity. Life as lived by those written off by Thatcher and now ‘socially excluded’ by Blair, described in C.J. 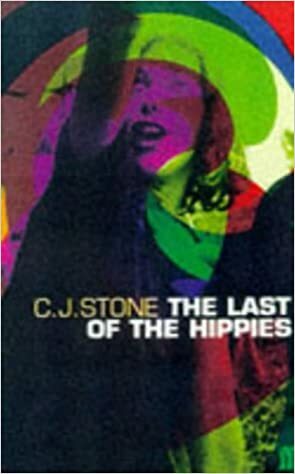 Stone’s unique and entertaining style. Housing Benefit Hill: Witch way out of here? When Vera talks to you, it’s usually to cackle viciously at someone’s stroke of ill-luck. You get the feeling that she’s wished it upon them….